Browse: Home / Is the Media Jewish? 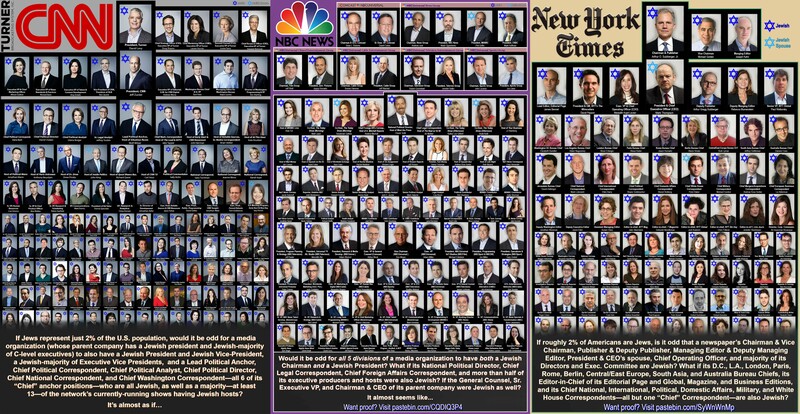 Given that they make-up little more than 2% percent of the entire U.S. population, the number of Jews in prominent positions in the mainstream U.S. media might seem disproportionate. Now it’s true that Jews have a predilection for using words, argument and reason. Indeed they are quite gifted in this regard. One only has to look at the number of Jews who are drawn to the legal profession to see this is the case. In fact this website also features a fair share of Jewish writers and commentators. So it’s not a disproportionate number of Jews in prominent positions in the media that is the issue here. That said the Jewish writers we feature are often outspoken in their criticism of Zionism and the state of Israel. You would be unlikely to find Henry Makow, Gilad Atzmon or Israel Shamir featured in the New York Times or on CNN. 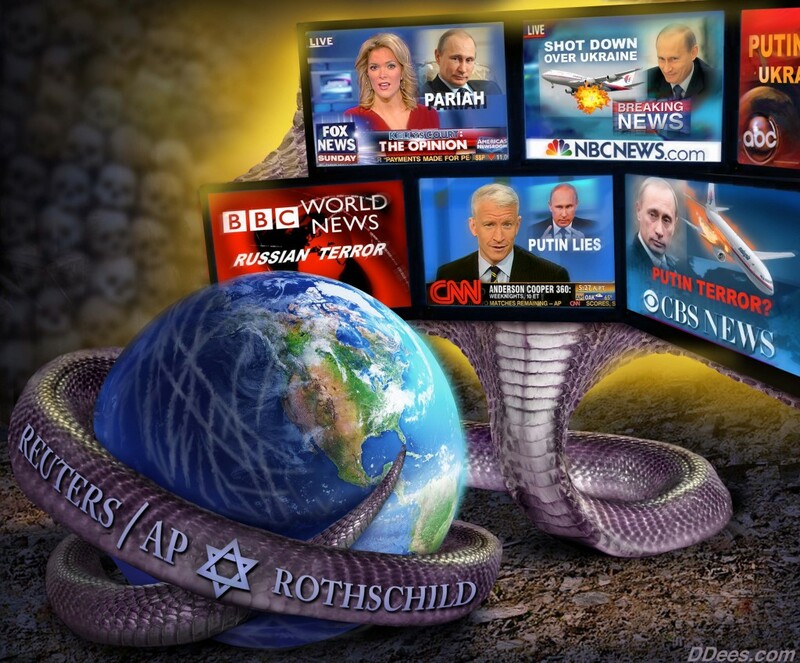 However, those listed below who feature on CNN or who occupy key position at the New York Times are uniformly pro-Zionist. Even those who were not born Jews. Like Mark Thompson, one of the few gentiles on the list who just so happens to be married to a Jewess. Thompson, the former head of the BBC, proved that he was ready to tow the Zionist line when he refused to broadcast a Palestinian charity appeal in 2009, while he was still BBC Director General. Thereafter Thompson was duly rewarded by being appointed CEO of the New York Times. So it’s not the number of Jews in the U.S. media that’s the issue here. It’s the disproportionate PRO-ZIONIST influence they bring to bear. It’s a crucial distinction as Zionists often use accusations of “anti-Semitism” to silence criticism. As a result the Israeli crimes often go unreported by the U.S. media or are given little prominence. While attacks on Israel are always given ample airtime. This helps to build support for Israel among the ignorant and uninformed, as it portrays Jews as a persecuted minority, while it lays the foundations of support for pro-Israeli candidates. To put it bluntly, this is mind control. Subtle propaganda that the individuals listed below help shape to inform the way American voters see the world, especially as it pertains to Israel. Ed.